Our Farmer’s Market strives to bring you high quality products from local vendors based in the South Jersey area. Here is a list of vendors you can expect to see each week at the market. Canary Works Canary Work’s pillow covers are crafted for standard size throw pillows. We have embroidered and non-embroidered selections that come in a variety of prints including seasonal and children’s. An easy way to dress up your living space using pillows that you already have! Daisy Lady Florals Jennifer Griffith began her love of all things horticultural at age 15 while working an after-school job in a tiny shop in Connecticut. This love for design, quality and diversity in materials prompted today's Daisy Lady Florals to come to be. 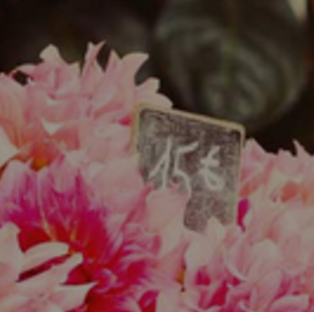 I established Daisy Lady in 2002 as an independent florist for simple weddings. Over the years my business has flourished and I now do floral arrangements for special events, custom floral orders, proms, showers or "just because". Local delivery available. Large orders accepted. Orders can be placed via telephone, email or Facebook. Now accepting credit cards. Simply Happy Brand Simply Happy Brand is a do-good fashion brand that creates happiness through giving back with each purchase. Each quarter we feature a new charity to support and our designs are both motivating & inspiring. We also choose quality apparel that are eco-friendly, fair trade and/or made in the USA. 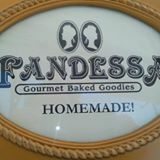 Fandessa Gourmet All of Fandessa’a recipes are made with love, from recipes handed down from our Grandmother and Mother as part of our Italian heritage. We have taken every recipe, savory or sweet, mastered it and added our own individuality. Our Gourmet Goodies are made fresh, using the finest ingredients available including “Jersey Fresh”. Looking to join our market?